In the fifth in a series of XDA Pro Tips, XDA Elite Recognized Developer AdamOutler responds to your requests for this Pro Tip. AdamOutler talks about Odexing and Deodexing ROMs. There is no universal and free way to odex and deodex a ROM for all platforms, as different platforms and devices have different tools for odexing and deodexing. 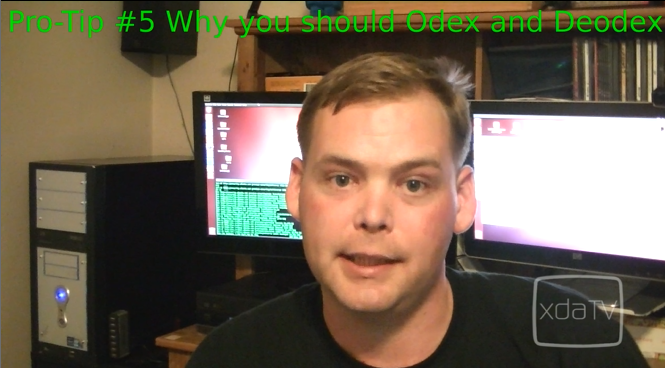 So, AdamOutler lays out why you would want to deodex, odex, and what it all means. So sit back, relax and check out the video. Be sure to check out the other wonderful and informative episodes on XDA TV and stay tuned for more Pro Tips. Make sure to check out the Samsung Smart App Challenge 2012!